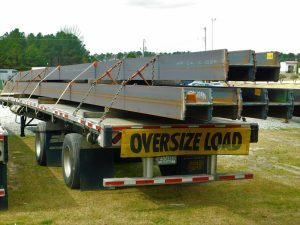 Structural, oversized steel loads are the key ingredient to our success. Haul the steel straight from the mill—NO BROKERS! 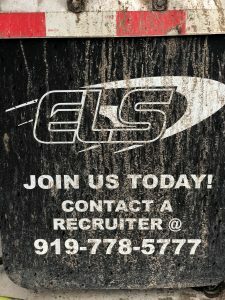 We are ELS, a nationwide open deck carrier that specializes in the transportation of over-dimensional steel and lumber products, as well as other building materials. We are based out of North Carolina, but travel frequently across the lower 48 states, hitting all major steel markets in between. We have a tremendous customer base full of the “partner” customers who value our service, and it reflects not only in our rates, but out freight availability as well! We feature late model equipment, along with a dedicated staff to set you up for success! We have the customer base to support any sized fleet in the world. ELS is a core carrier for the major structural steel producers in the country. These customers are expecting us to be able to load 50,000lbs of their product (Ohio, Indiana and Michigan, 86,000lbs. Click here for more info), sometimes up to 70 feet long. For this consistent and dedicated service they get from us, we get the highest rates in the industry in return. The highest that we have seen, anyway—and we’ve been looking. MORE THAN ANYONE ELSE IN THE INDUSTRY! We are built for and function best with the true professional flatbed operator, enabling us to grow at quick but steady pace. Stop wasting your time at training companies and come get paid what the industry commands. From starting in 2009 with just a handful of owner-operators (many of which are still here) to now, when we operate hundreds of company-owned tractors, ELS has always been at the forefront of the flatbed industry. New and innovative driver technologies have kept us as an industry leader in safety and risk management. Our aggressive sales and relentless customer service teams keep our rates higher than our competitors and our drivers’ wallets fat. Our operations team loves to think outside the box, to solve complex problems and satisfy even the most sensitive customer needs as fluidly and effectively as possible. However, it’s not just about us. We want to pass along our way of doing things to our drivers. From our offices to our tractor cabs, from recruitment to retirement, we advise and coach our drivers to not only be good operators and business owners, but to be good people and reflect our company in much the way we view ourselves. If you’re willing to work for yourself and do the job properly, ELS will be with you every step of the way….guaranteed.